Remember how I said that I’d been inspired by an asparagus delivery to create a stack of seasonal Spring-inspired recipes? This is the second of those, because brunch. I’ve been seeing baked egg cups everywhere lately but they’re usually lined with ham and have little other than an egg in the centre. 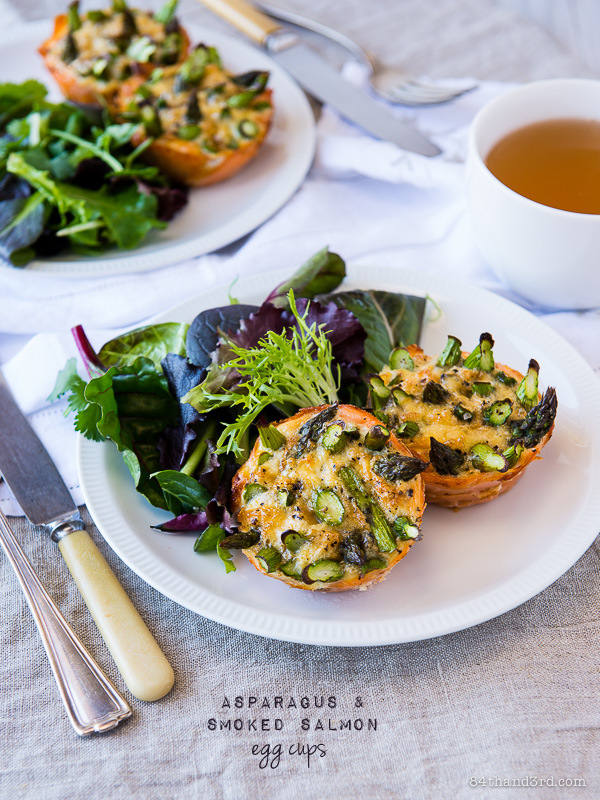 Staring at the bunches of asparagus in my fridge reminded me of little trees, and before I knew it I’d created a forrest of spears in salmon lined cups and baked it all together with egg. A word of advice, make more than you think you’ll need lest you have a disappointed husband that goes looking for more than his allotted two, ahem. In other news I’m still head down in stacks of work and while that means I’m a bit missing in action round here there’s still plenty happening on Instagram (and by default Facebook and sometimes Twitter too). Pop over and say hi if you’d like! Eggs, smoked salmon and asparagus are a match made in heaven. 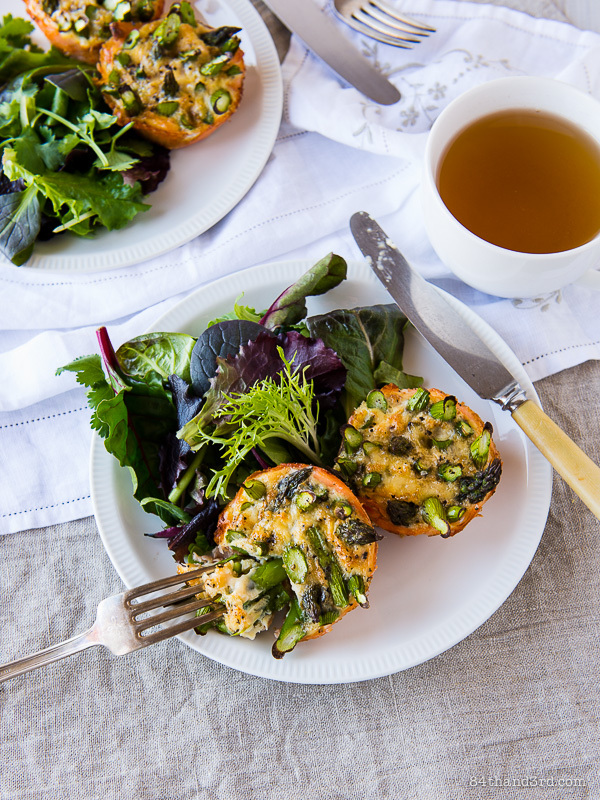 You could serve them all separately over a slice of toast but an asparagus forest baked into a smoked salmon fritatta cup is so much more fun. Preheat oven to 200°C (400°F). Spray or wipe 4 cups of a muffin tin with a bit of oil and line with smoked salmon. Whisk eggs and milk/water with a crack or two of pepper. 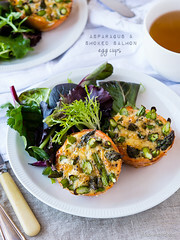 Slice asparagus spears into 1 inch (2 ½ cm) lengths and arrange into a little forrest in each salmon cup. Divided egg mixture evenly between the cups. Bake for 10 – 15 mins until egg is just set. Cool in tin 5 mins before running a knife around the edge of each cup to pop out. Serve with a side salad, or just eat as is. Sounds and looks delicious. I’ll take 2, please. Oh my, this looks amazing. 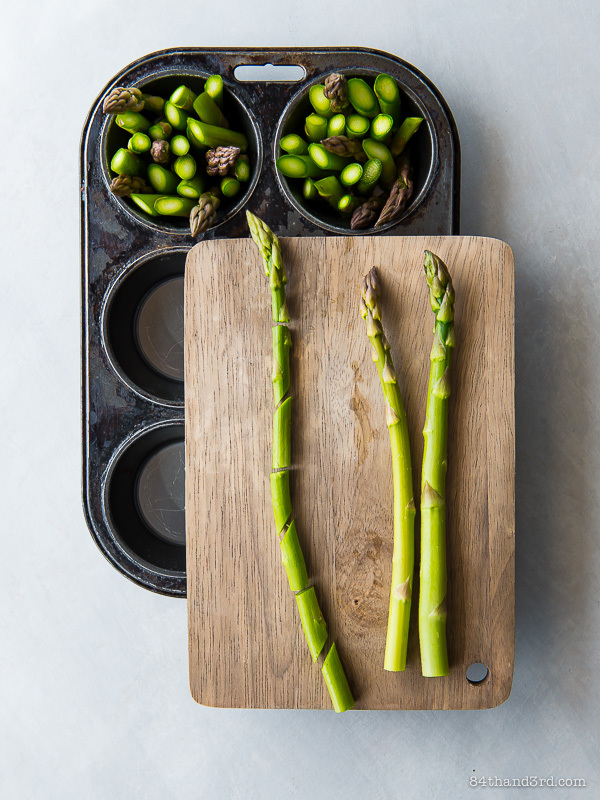 I found the first of the new season’s asparagus here this week – it’s my favourite veg and I’m always looking for new ways to try it. This is a definite must – can’t wait to try. Wow. My parents are paleo, so I love coming across ideas that fit their diet – and looks easy/healthy. Thanks so much! Brilliance!